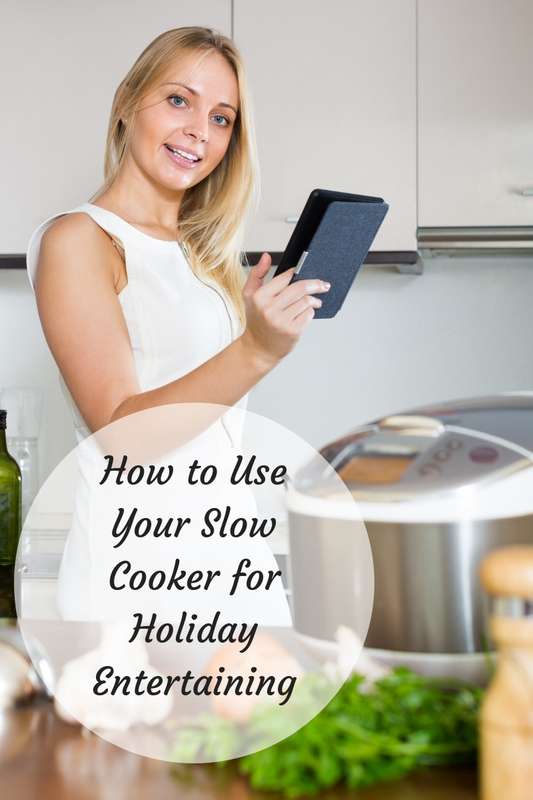 It’s not surprising that many home cooks consider a slow cooker a “must-have” kitchen appliance. 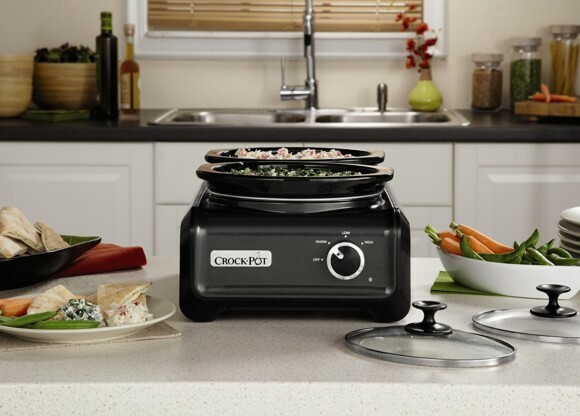 They make it so easy to prepare delicious home-cooked meals with minimal effort. They’re ideal for today’s busy, on-the-go families because they don’t require constant supervision as they go about their business of slowly cooking fabulous, fuss-free meals. As an added bonus, they keep your dishes nice and warm until you’re ready to sit down and enjoy them. That is why, slow cookers are also perfect for larger gatherings of family and friends. Once you’ve assembled all your ingredients and turned the unit on, you’re free to focus on getting ready and spending time with your guests. The main challenge with a traditional slow cooker in this setting is they only allow you to prepare one dish at a time, however. This means you will either need to drastically limit your food choices – or use several individual slow cookers to pull off a more diverse menu. 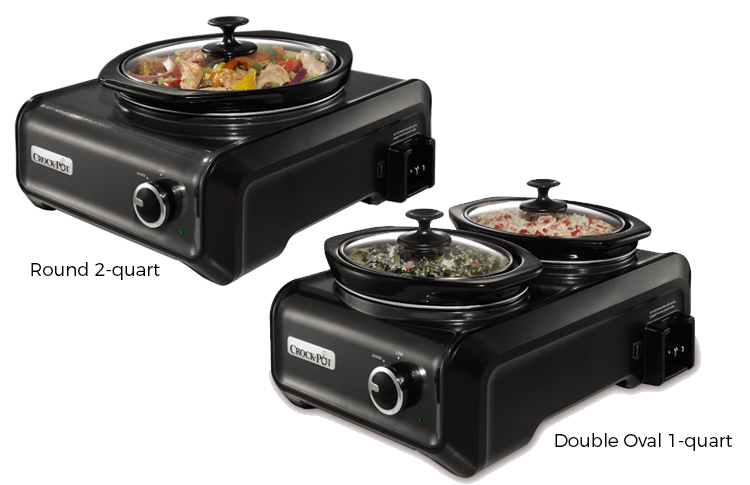 If you don’t like either of these options, you may want to take a look at the extremely versatile and highly practical Crock-Pot Hook Up Connectable Entertaining System. This flexible system allows you to pick and choose from several size crocks in a variety of stylish and attractive colors to fit your decor. Current options include a 1-quart double oval container , 2-quart round unit, and Oval 3.5-quart. 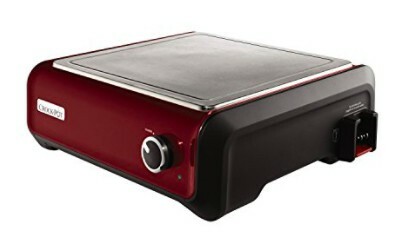 A convenient warming tray component and travel carrying cases are also available. The real beauty of this system is that it is not one-size-fits-all. Instead, it allows you to pick and choose which sizes would be most effective for your gatherings. For example, you can use the smaller 1-quart double oval unit to serve dip and nacho sauce at your next tailgate party. Or you can use both containers to keep your holiday gravy warm and ready to serve. The larger sizes are perfect for just about any soup, side dish or main dish you have planned. Each of these units can be conveniently connected in a space-saving configuration that requires only one electrical outlet. This is perfect if you are tight on space or short on power sources. When you’re finished using them, the units clean up easily and can be stacked to save valuable cabinet space. 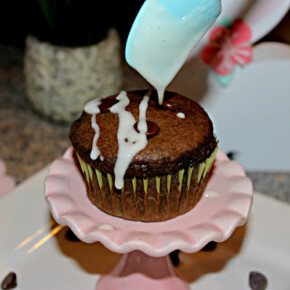 It’s no accident these are a creation of Crock-Pot. As the original slow cooker brand, they have earned a solid reputation for quality products and excellent customer service. You may pay a bit more than you do for some other brands, but they definitely deliver when it comes to overall value. You’ll never feel as if you wasted a penny. 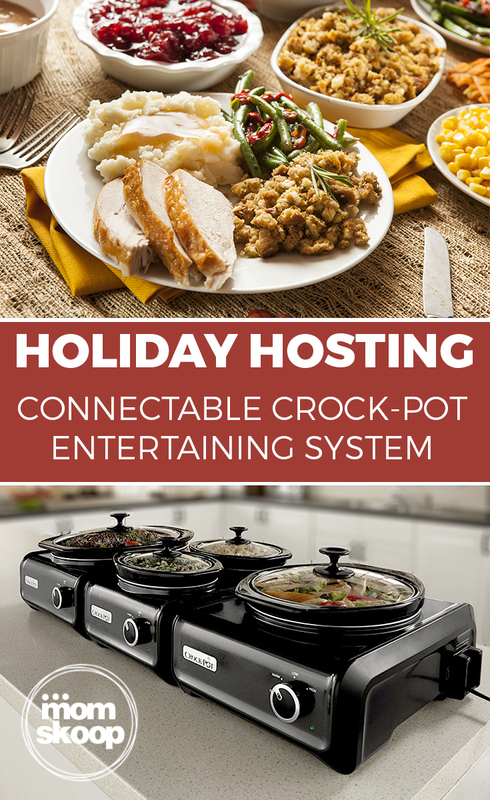 Of course, no product is perfect for everyone and the Crock-Pot Hook Up Connectable Entertaining System is no exception. Some users report that the exterior of the units get warmer to the touch than traditional, single slow cookers. Some have also reported that they are more efficient at keeping cooked foods warm, and not so much cooking food from the start. These aren’t extremely common complaints, but definitely something to keep in mind. 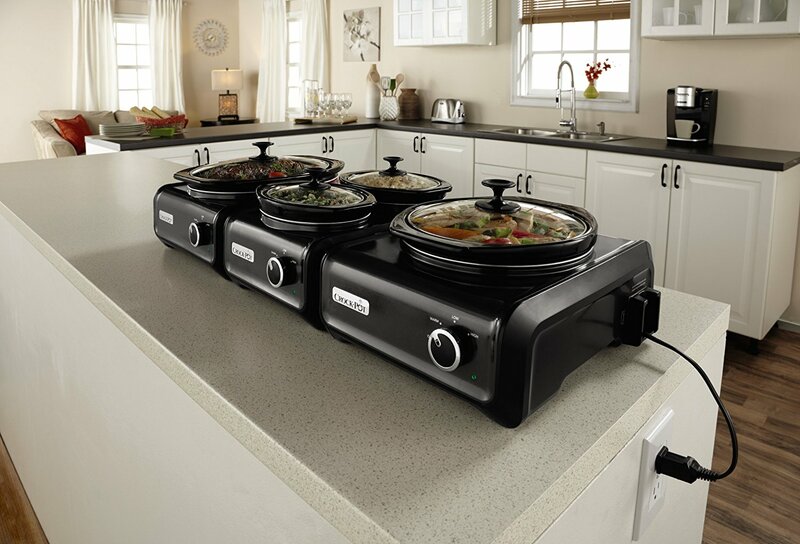 The Crock-Pot Hook Up Connectable Entertaining System is a good choice for large and small gatherings because it allows you to easily serve multiple dishes at once – or just one. 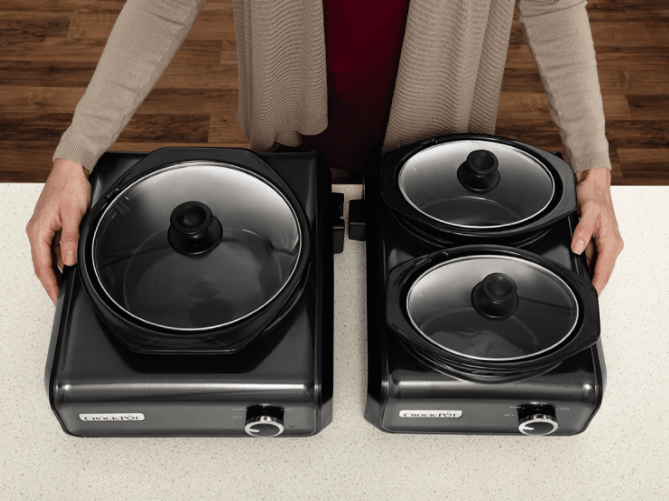 If you’d prefer a single multi-crock unit at a more affordable price point, you may want to check out the Elite Platinum EWMST-325 Maxi-Matic Triple Slow Cooker Buffet. This three-crock model works well for entertaining and larger family meals, but the cooking units are attached permanently. If travel isn’t a buying point for you, the Elite Platinum may be a good alternative for you. *Images property of Crock-Pot. This post is not sponsored, or requested, by Crock-Pot. 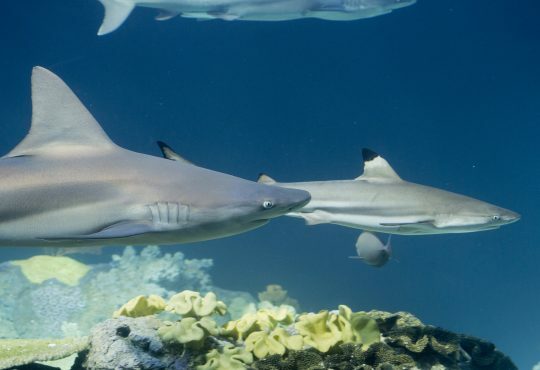 We did not receive compensation or product for publishing this article. 20 Hearty And Delicious Crockpot Soup Recipes – Perfect for Fall!